A silk is passed through the middle of a mirror encased in a wooden frame. 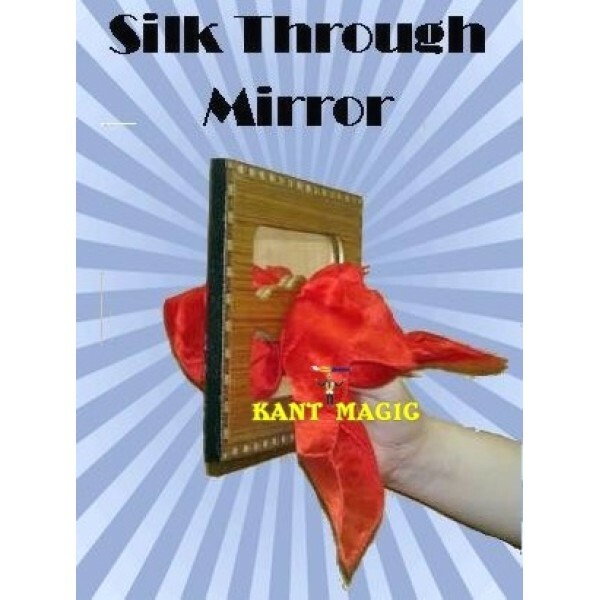 The apparatus can be freely shown, and also used for other penetration effects, such as passing a wand, pen, your finger, or anything of a similar nature through an apparently solid mirror.. The apparatus we supply is complete and ready to work. It is a larger and modified version of the "Clear Penetration" frame, where a pencil is passed through a clear glass sheet. 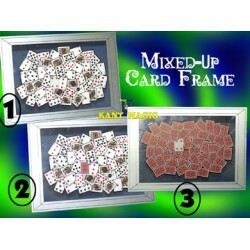 It is big enough for platform use or larger audiences, but can also be performed close-up. Another presentation would be to cover the hole in the mirror with a piece of paper and penetrate a pointed object through. Mechanical wood prop, polished in an antique finish, complete with instructions, ready to use. 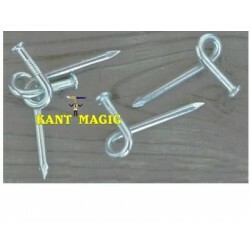 Nail Puzzle by Kant Magic Neat little puzzle to carry in your pocket or purse. First made out of ho..